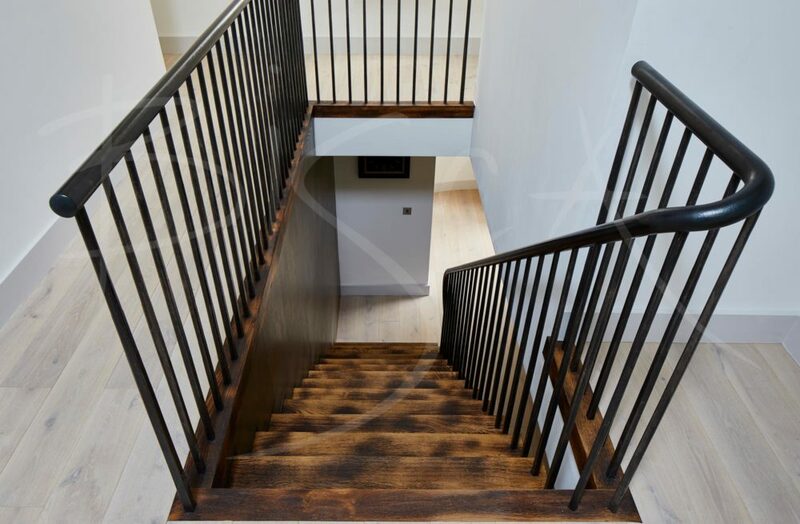 A cantilevered staircase of character oak with a hand forged balustrade. We reversed the direction of the staircase shown on the architects plan at the request of the client. 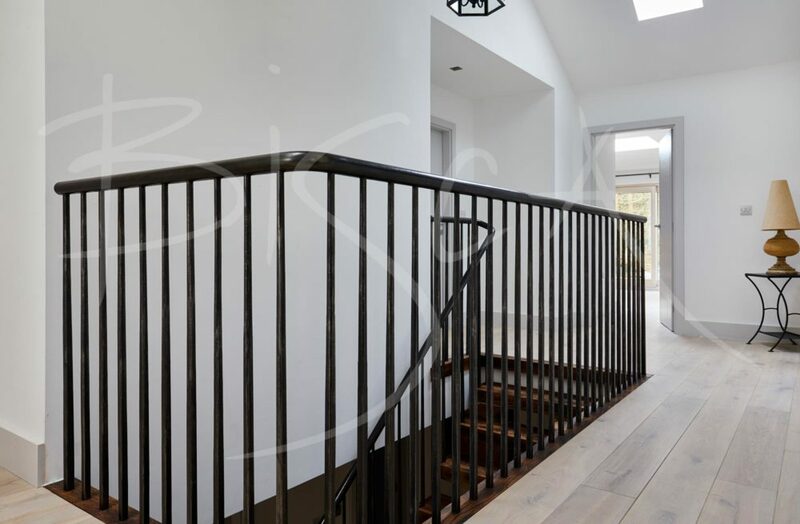 Bisca’ new layout faces the main entrance and is easier to access from key areas of the house. Treads are oak, finished by hand in the workshop to achieve the effect desired. 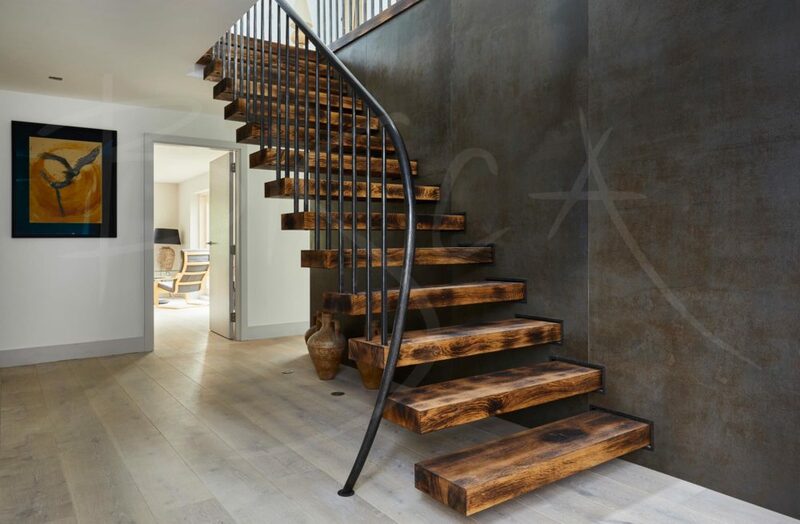 Forged and burnished mild steel uprights form the balustrade. The uprights themselves taper from square at the base to round at the top. 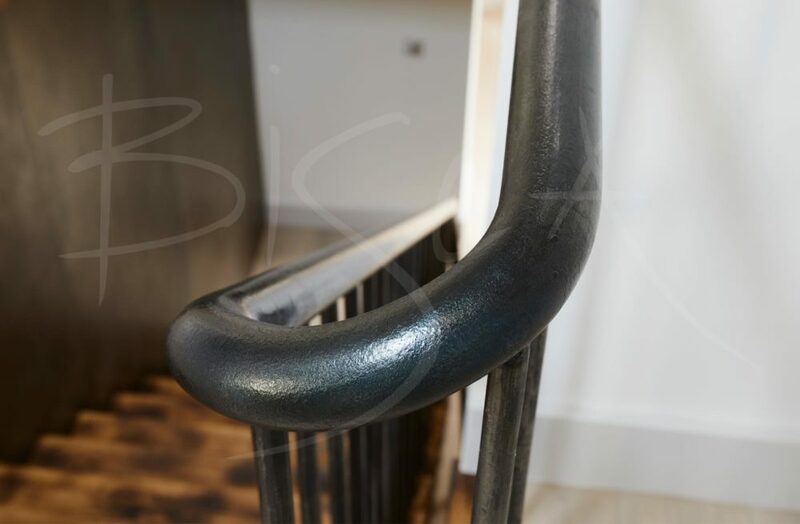 A handrail of the same material sits on top of the uprights and terminates in Bisca’s signature swept back newel. For more information on this project or character oak please mention 7411.